In the last few days little bundles of joy have been arriving at my house. and when the second parcel arrived I laughed, I thought it was a coincidence. It's official, I've been love bombed!! I've hung is all up around our house. It looks amazing. There was also a lot of chocolate. I can't begin to explain how this makes me feel. I feel loved and I feel encouraged. I can't wait to show love to others. It's just so amazing to be loved in this way. I might have to master crochet!! Cat, Leonie, Leonie, Nin, Fran and Katie. 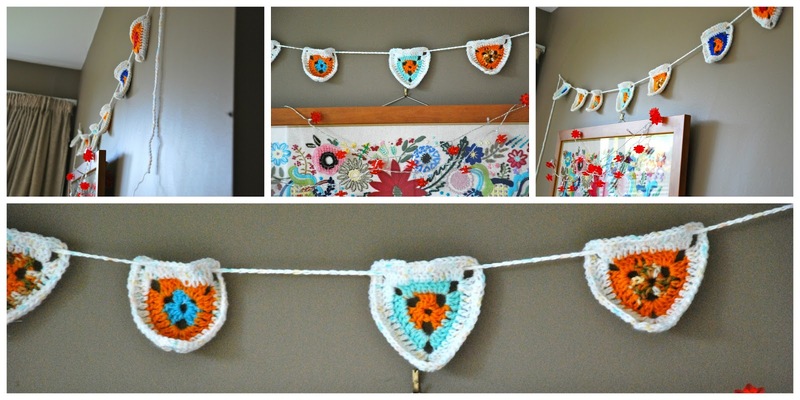 Nothing says "I love you" like crochet bunting. Loved bombed - how fabulous! I love this - such a beautiful conspiracy! How fantastic. What a great team. 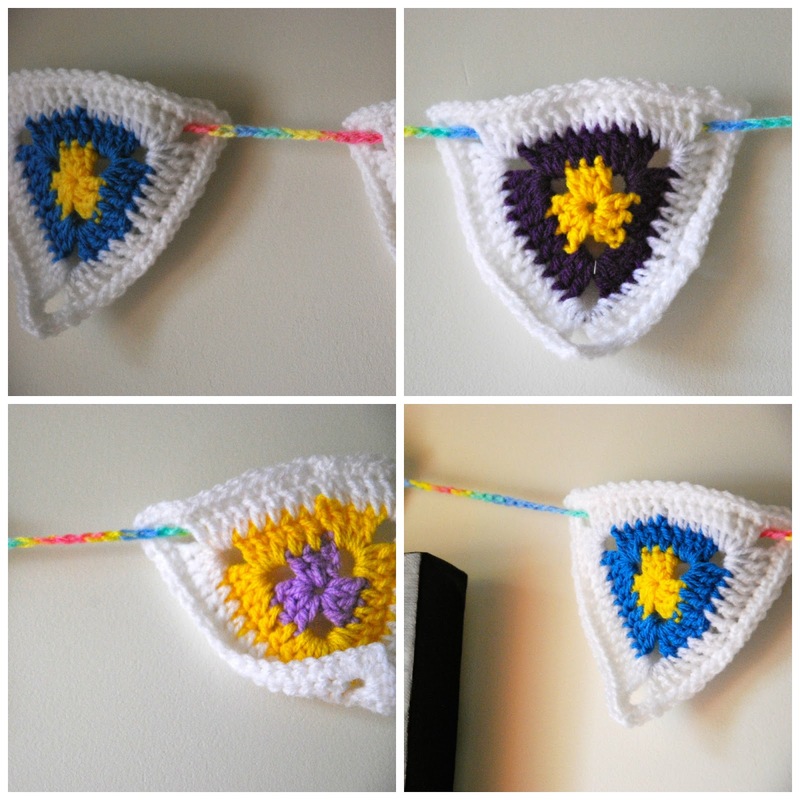 Love how all the different buntings have the same base but all look a little different!